Shelby American is finally finishing something started by the late, great Carroll Shelby himself more than half-a-century ago, announcing today that the company will produce six examples of a lengthened, big-block-powered version of the Shelby Daytona Coupe. In 1964, Carroll Shelby asked fabricator John Ohlsen to lengthen the chassis of one of the six existing Shelby Daytona Coupe race cars so that a 427-cubic-inch V8 could be fitted, making the car more competitive for the 1964 24 Hours of Le Mans endurance race. It was called the “secret weapon” program, and as you might envision, the finished car was remarkable quick; Bob Bondurant, who was a development driver for the car, suspected it was capable of sustaining speeds in excess of 200 mph. 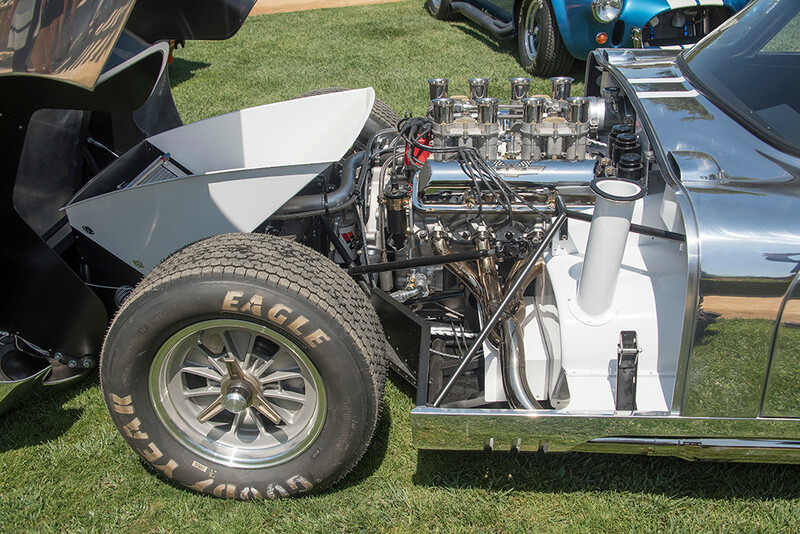 On its way to Le Mans, the truck carrying Shelby’s big-block Daytona Coupe was struck, damaging the car so that it would never get to turn a lap. Thereafter, it was converted back to its standard 289 configuration, and failed to finish at Le Mans the following year. 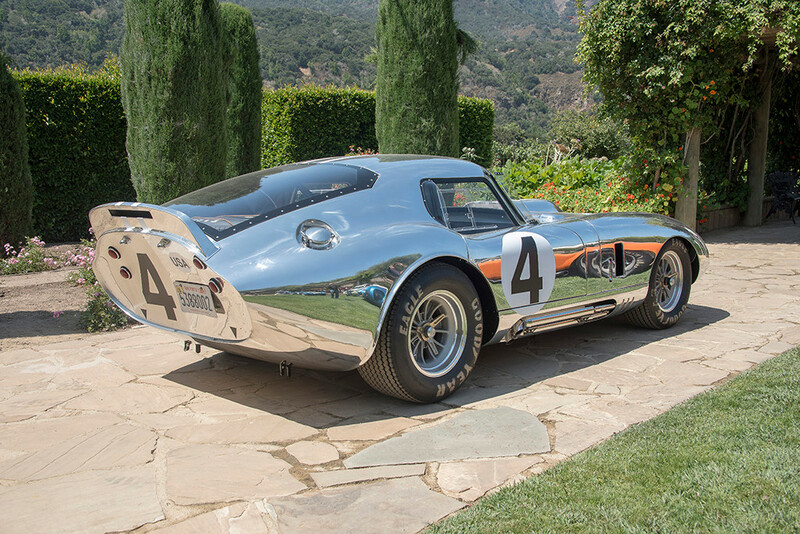 Each of the six big-block Shelby Daytona Coupes will be rendered in aluminum, with power coming from a 427-cubic-inch medium-riser V8 put together by Shelby Engine Company, with 550+ horsepower on-tap. The engine will mate to a period-correct 4-speed manual. Daytona Coupe #CSX2603, the first of the litter, has already been born, making its public debut today at the Rolex Monterey Motorsports Reunion at Mazda Raceway Laguna Seca.